In order to promote the spirit of unity and cooperation among employees, Newstar held the friendly competition of badminton on Jun 22th,2017. The event aims to enrich the employees' spare time activities, enhance their body and promote the communication between departments and employees. Under the lead ot administration department, many staffss take an active part in this competition. The company's employees have been actively involved in the activities, a total of more than 30 people participated in the competition. The enthusiasm of the staffss was unprecedented high, the leadership also attaches great importance. In order to achieve good results in the game, many staffs also use morning and evening and spare time to practice. The game is divided into two games, through the four round knockout, decided to competition the top three. The game was carried out in a warm and friendly atmosphere, and the contestants were full of energy. In the game, they are flexible movements, skilled skills, ushered in bursts of applause. Eventually after a fierce competition, Solo won the championship, Yilia won the runner-up, and Dainel came in the third. The badminton show the spirit of staffs. Through the activities, enhance the friendship ,strengthen the communication between the staffss. It also make everyone's physical enhancement, improve the awareness of team. It make our amateur cultural life becomes more colorful. Everyone show the can-do spirit in the competition, and will extended this spirit to the work. 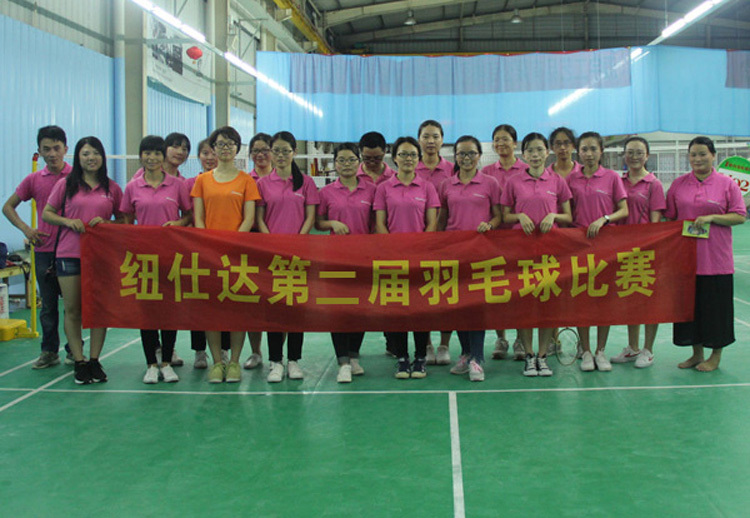 The badminton competition, not only led to the company's internal fitness campaign, but also enhance the unity of friendship between employees, creating a positive, healthy and harmonious cultural atmosphere, the event eventually achieved the desired purpose and effect.